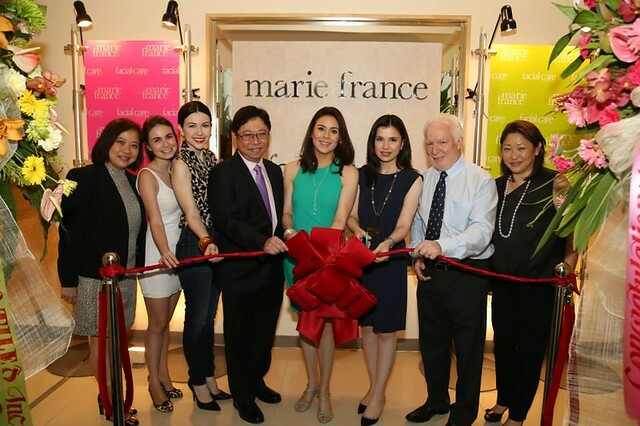 Marie France, the trusted name in proven effective non-invasive slimming, kicks off its 30th year anniversary celebrations with the opening of its newest branch at The Fort. Located at the 16th floor of the RCBC Savings Bank Corporate Centre, 25th and 26th Streets in Bonifacio Global City, Taguig, this new branch comes with the same advanced slimming technology and that signature Marie France brand of pampering its clients have come to expect from it. Opening its doors in the Philippines in 1985, Marie France quickly became the leading name in slimming as the first center to introduce the scientific approach to weight-loss. Now 30 years later, it is still recognized for popularizing the “No hunger, No exercise, No injections, No surgery” methodology that has since revolutionized women's perspective on slimming and wellness. Supervised by medical doctors, nutritionists, and slimming consultants, Marie France's weight-loss programs are personalized for each client to guarantee that she attains the body and shape she's always wanted. Marie France first became known for its primary weight-loss treatment, the Fat Mobilization System (FMS), which induces the body to generate heat energy and stimulates the conversion of regular fat to brown fat, making it easier for the body to burn. Now, with the superior technology of FMS Elite, you lose weight without the cold wet wraps and without the shivering. And the treatment session still lasts only 30 minutes with no downtime. But whether the goal is overall weight-loss, fat reduction in specific problem areas, or resculpting the figure to its ideal shape, Marie France has a solution. Right next door is the new branch of Facial Care Centre, for premium, advanced, and effective non-invasive skin solutions. FCC prides itself in always being the first to introduce the latest innovations in skincare. With its extensive range of anti-aging and skin-rejuvenating treatments and facials, FCC remains the top choice of discerning women, including world-class artist Lea Salonga. Real Moms Speak: What We Really, Really Want for Mother's Day!